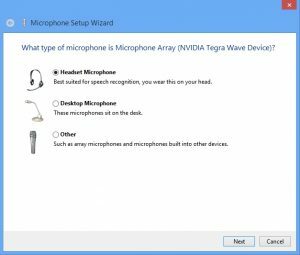 Set Up and Use Speech Recognition on Windows 10 Operating System – Did you ever try to control your Windows Operating System without using your hands? Yes, you can control your Windows Operating System by speech to text feature as it is an inbuilt feature from Microsoft. If you are bored of using keyboard, mouse and any other external devices to control your Windows OS, then you can enable the Speech to Text feature on your Windows OS and then start controlling your Windows PC/Laptop. This feature helps you to control your Windows OS completely by using your voice commands. So you need to aware of commands that your Windows OS understand then control by voice. 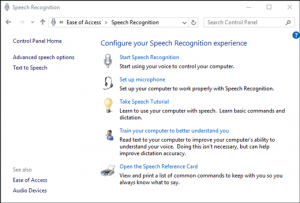 Speech Recognition feature is available on Windows 10 Operating System and if you are using the Windows 1o OS then you can easily navigate to the feature and then start controlling your Windows OS. If you are using earlier versions of Windows OS, then update your Windows Operating System and then start controlling your Windows Device by using voice commands. Anyone can use this feature but this feature is primarily designed for disabled people to help them to use Windows Operating System. You can launch the application and then dictate the commands you want and then Windows OS will perform the tasks. So let us know How to Configure Speech Recognition, How to Change Speech Recognition Settings, and How to use Speech Recognition on your Windows 10 Operating System. Follow the steps mentioned below and implement on your Windows 10 Operating System. Open your Windows 1o PC/Laptop and then navigate to Control Panel. You can see Ease of Access option. Click on it and then you can see Speech Recognition. Click on Speech Recognition and then you can see many options regarding this feature. Click on Start Speech Recognition and then you can see Set up Speech Recognition window. Choose the type of microphone you are going to use and then click on Next. Again Click Next. Now you need to read the text to adjust the volume of Microphone and your Windows OS will check the voice clarity. Click Next and Click Next. Now choose Enable Document Review and click Next. Now you need to pick an activation mode. Better to choose Use manual activation mode and click Next. Now click on View Reference Sheet to print all the Speech Reference Commands on your device. Checkbox the Run Speech Recognition at Startup option and then click Next. Now you can see Start Tutorial option, click on it else you can click on Skip Tutorial. 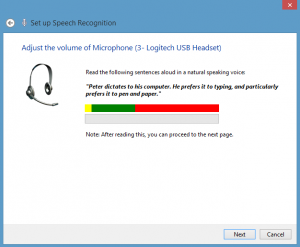 After all these steps, you can start using Speech Recognition feature on your Windows 10 OS. So to change the Speech Recognition settings on your Windows 10 OS, you need to click on Advanced Speech Options under Speech Recognition option in Control Panel. As you click, you can see Speech Properties window and then edit the options like Language, Recognition Profiles, User Settings, and Microphone. After you change the settings, click on Apply and then click on OK.
You can also change Voice Selection and Voice Speed options under Text to Speech category. So finally you are ready for all the changes of Speech Recognition right? Start controlling your Windows 10 Operating System by using voice commands.